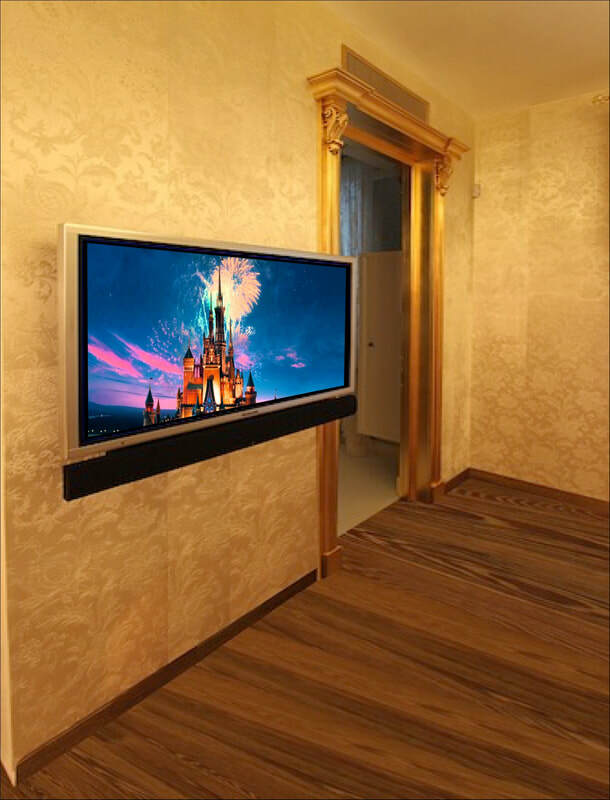 Moscow Home - 2012 - ​A fantastic apartment in Moscow right next to Red Square with a very high standard of interior design. The brief was for a high performance family room system plus a bedroom system with custom finished screen ! 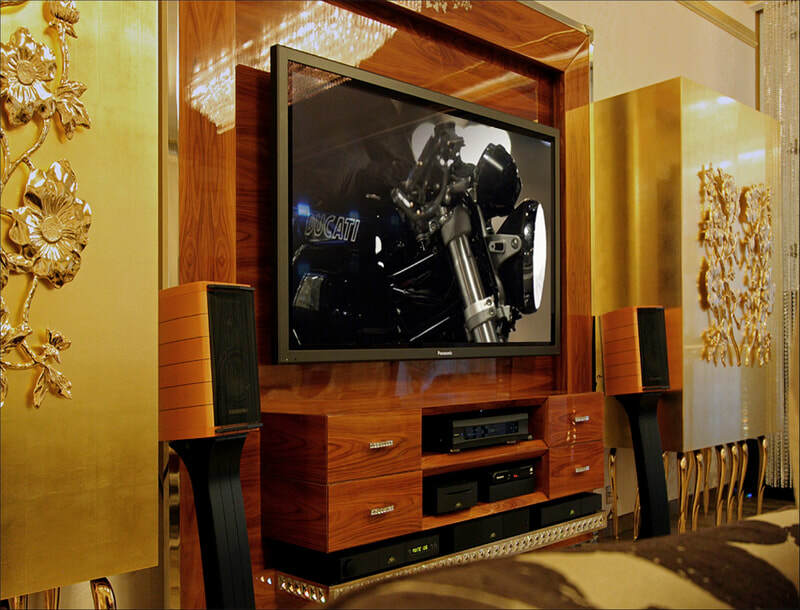 The family room has an Italian bespoke furniture piece at its heart and here we installed a high performance Music & Movie system. 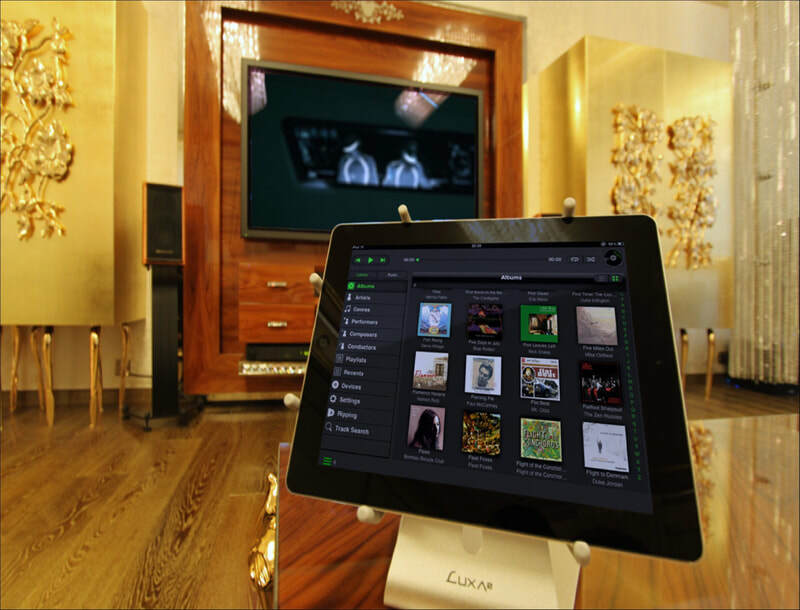 Using Italian loudspeakers from Sonus Faber and Naim electronics the system is controlled by an iPad (including the Music & Movie libraries). 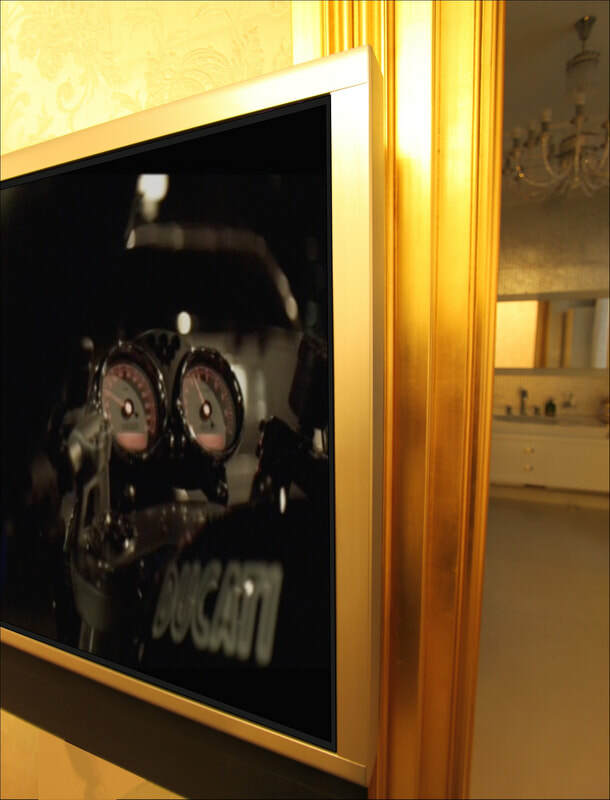 The display panel is a VX type from Panasonic, hand selected for home cinema use. 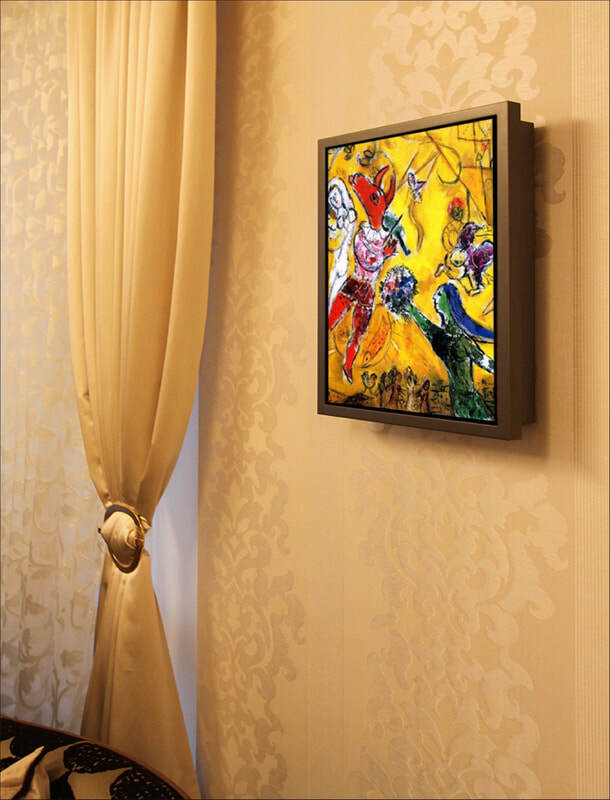 Surround sound loudspeakers are Artcoustic, wall mountable and with a choice of any artwork they hang just like a picture yet deliver substantial performance too. A Velodyne subwoofer is hidden away and only provides very deep bass for the movie soundtrack. 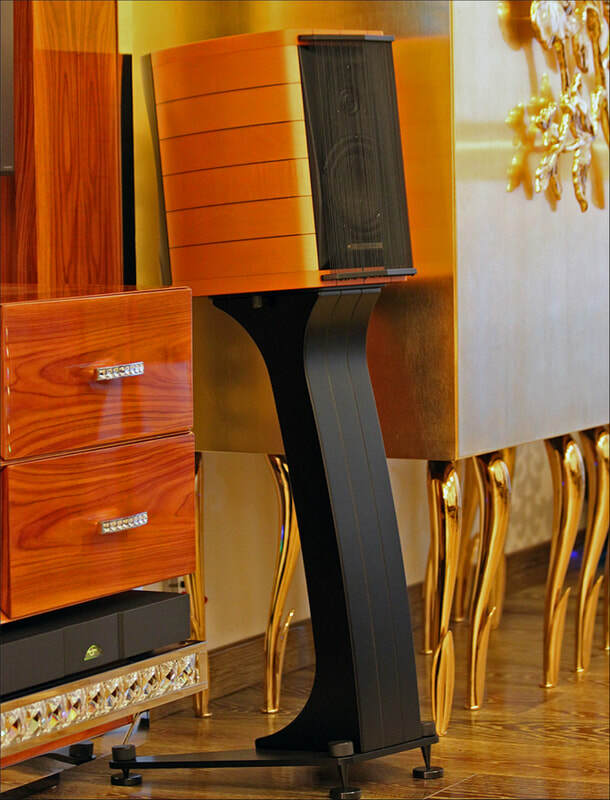 ​Sonus Faber are renowned for building beautiful loudspeakers with excellent performance. The Cremona range incorporates several models including the stand mount models used here. Available in 2 finishes the maple shown here was a perfect match for the decor both contrasting and blending well with the surroundings. A matching center channel / voice loudspeaker is mounted below the lower shelf to provide the dialogue soundtrack for movies. iPad control : the system is fully controllable with an iPad / iPhone. using either device you can decide what you want to watch or listen to. A Naim UnitiServe rips and stores all of the CD collection so they can be called up and played without the disk again directly from the iPad. Full control of movie & TV playback is controlled with volume control plus ordering of streaming movies on demand. A contrasting brushed aluminium finish was required for the screen in the bedroom, We took another VX grade Panasonic and had the bezel professionally finished by a metal plating company to perfectly match the colour required. The bedroom screen is also linked to the BluRay DVD player and TV system so any program or movie can be called up when required. A single Crestron remote control makes using the technology here perfectly simple and reliable.